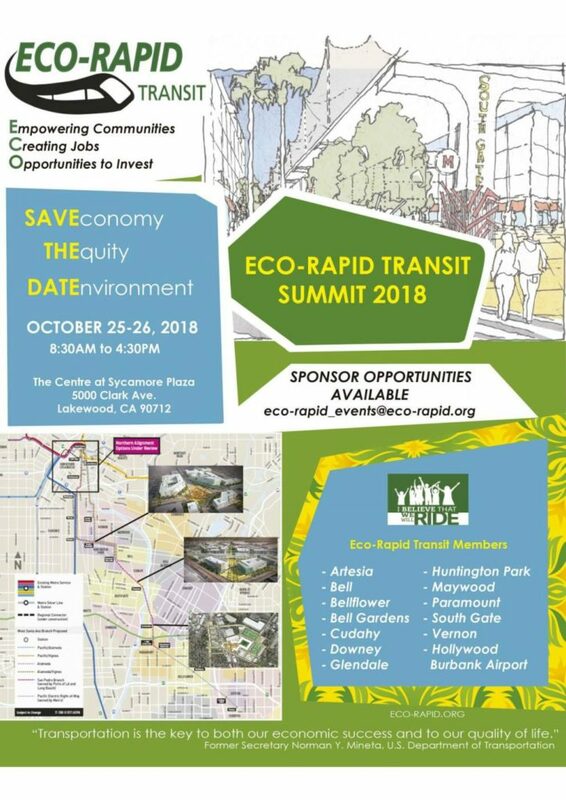 Eco-Rapid Transit, also known as the Orangeline Development Authority, is proud to be hosting more than 300 officials from local, regional, and federal elected offices and agencies, along with private sector development and investment experts to discuss a new light rail project, community driven transit-oriented development and the creation of healthy neighborhoods in Los Angeles County. With the theme of Building Sustainable Communities with Transit, officials and experts will discuss opportunities for creating healthy communities, strategies for transportation financing, and generating synergies between transit development and sustainable infrastructure. This transportation summit will be a catalyst for transit-oriented development and the creation of sustainable infrastructure from Artesia to Downtown Los Angeles and to Glendale and Hollywood Burbank Airport.